This a series of fluid joint rotations and loosening moves that gently stretch the ligaments, tendons, muscles and skin. These enjoyable exercises develop alignment of the spine, hips and pelvis and improve co-ordination and balance while increasing suppleness and elasticity throughout the whole body. 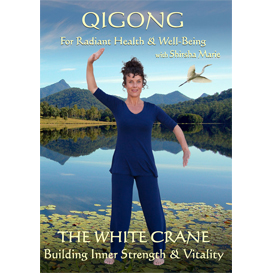 This Qigong Video is set in stunning Australian natural scenery which heightens the ability to learn and absorb the essence of the exercises. 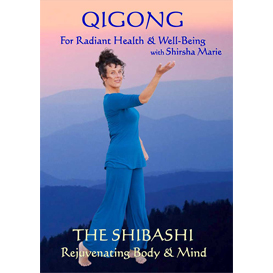 All of the Qigong techniques in this Video are demonstrated by Shirsha Marie with grace, precision and clear instruction, which renders them enjoyable and easy to follow. 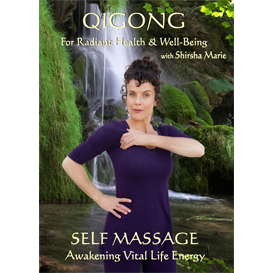 Shirsha Marie's Instructional Video provides a superior way to support your Qigong practice at home, so that you can take health and well-being into your own hands.